31 Nights of Horror, Night 2: World War Z. Back in 2012, right as the zombie apocalypse thing was starting to get too cool, Hollywood knew they needed to release something to capitalize on America’s fascination with the living dead – and World War Z (to me) is that release. Watching World War Z felt like I was playing Left 4 Dead; each scene mirrored a new level I had to complete, (i.e. the “Clear B-Wing” scene) and at times you can see the unfortunate impact of lots-a-movie-makin-drama. 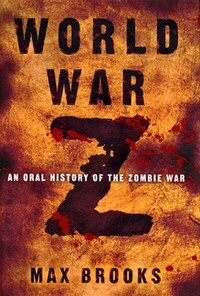 Don’t get me wrong, I enjoy blockbusters and I liked World War Z in the same, mindless way I enjoyed 2012 (meh), but if you’re expecting anything close to Max Brooks’ novel of the same name, or a film on par with 28 Days Later, Contagion, or other “apocalyptic virus” movies, you might be disappointed.